Mammoet, a provider of engineered heavy lifting and transport, says it has developed an immensely strong bamboo beam to substitute for hardwoods azobé or ekki in bearing extremely heavy weights found in construction and industrial jacking operations. 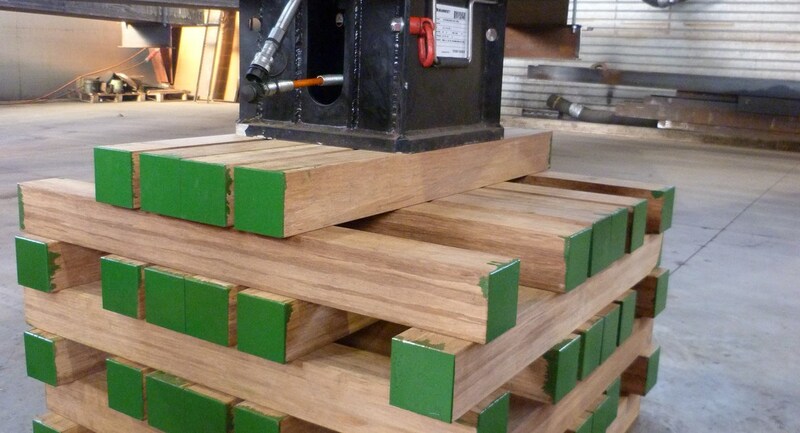 For many years, Mammon says it relied on stacking beams of azobé or ekki - a durable wood suited for supporting hydraulic jacks while they push a heavy load upwards. Since the use of hardwood from endangered tropical forests has become an increasing concern, Mammoet initiated a research and development program to find a suitable replacement. The company said it explored various alternatives, including reinforced plastic and aluminum. Most materials were either not strong enough, too heavy or too expensive. It then turned its attention to what might have seemed an unlikely candidate: bamboo. Beams are created by steaming bamboo cane in an oven, molding the fibers with special resin, compressing and then baking at high temperature. The resulting material consists of 95 percent fiber and 5 percent resin. The beams have been subjected to more than 2,000 tests to analyze how they react to friction, load, temperature, compression, bending and prolonged exposure to water and diesel. 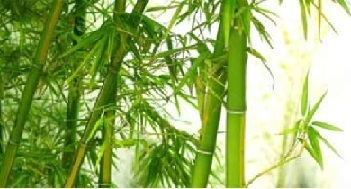 Bamboo has proven to be a significant improvement for Mammoet, with better stiffness and strength, compared to azobé. Mammoet says bamboo turned out to have other advantages: it can be even stronger than azobé, grows very quickly and can be harvested without killing the plant. Furthermore, it absorbs more of the greenhouse gas CO2 and releases more oxygen than almost any other plant. At the end of 2016, an initial seven hundred bamboo beams have been sent out into the field. Mammoet says it will start using more bamboo beams in all of its regions worldwide as the existing azobé beams will gradually need to be replaced.